Values are our inner structures, through which we make decisions… Communicating values into the organization supports values to really become alive. Here, rooting the values can be substantially supported through visual support. 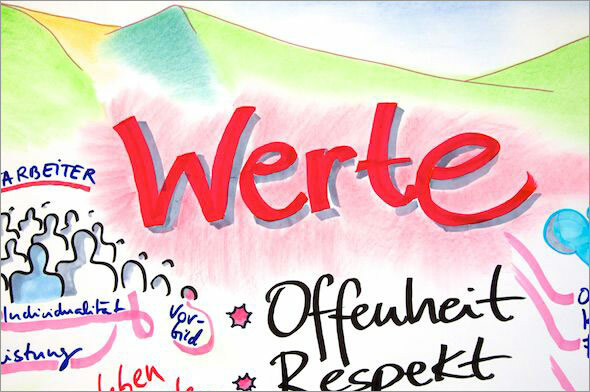 The above detail of a corporate mission shows the term ‘values’ (Werte). In this project the full size (2,5m x 1,5m) wall poster has actively supported staff identification with the corporate mission statement.